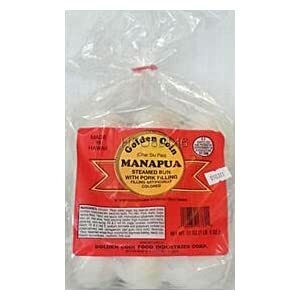 I remember going to get manapua at the store and getting the sweet rice cake....there were usually 2 types, the one that you could peel the layers away and the one that was kind of spongy with the holes in it. This recipe is for the one that is spongy and has the holes in it. 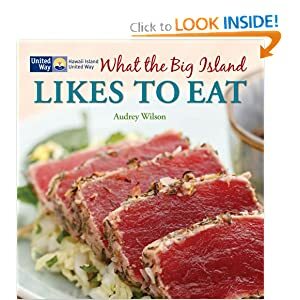 ** 1 Cake of compressed yeast is just short of 1 ounce or 26 grams - Substitute with just short of 1/2 ounce of dry active yeast or 11-12 grams. **Compressed yeast is essentially cream yeast with most of the liquid removed. It is a soft solid, beige in color, and arguably best known in the consumer form as small, foil-wrapped cubes of cake yeast. It is also available in larger-block form for bulk usage. It is highly perishable; though formerly widely available for the consumer market, it has become less common in supermarkets in some countries due to its poor keeping properties, having been superseded in some such markets by active dry and instant yeast. It is still widely available for commercial use, and is somewhat more tolerant of low temperatures than other forms of commercial yeast; however, even there, instant yeast has made significant market inroads. Soak rice in water (have sufficient water to cover 1 inch above level of rice) for 2 days. Drain well. Mix compressed yeast with 1/2 cup lukewarm water. Add 1/4 cup sugar. Cover and set in warm place while you do the next step. Put 1/2 of the soaked rice and 1/2 cup water into blender and blend at high speed until rice is liquified and mixture is smooth (about 3 to 4 minutes). Set aside in mixing bowl. Blend remaining rice and water by 1/2 cup quantities, setting aside each portion into the same mixing bowl. Now pour the entire mixture back into blender and add 1 1/4 cups sugar. Blend at high speed for 2 more minutes. Add yeast mixture and blend at low speed for 30 seconds. Pour into glass mixing bowl, cover and leave in a warm place until mixture is bubbly and almost double in bulk (about 1 1/2 to 2 hours). STEAMING: Start water in steamer boiling. Lightly stir batter again to mix evenly. Pour batter into round or square cake pan to about 1/2 inch high. *I would recommend using a glass pyrex bowl with a cover. Steam for 15-30 minutes by placing covered pyrex bowl directly into pot of water, bring to boil on medium high heat and steam until the rice cake is firm. Turn off heat and let rice cake cool completely with bowl covered for 30 minutes. Lightly rub a little oil on top to give it a glossy appearance. Cut into diamond shapes. Rice cake is eaten when it is at room temperature. DO-AHEAD NOTES: Bok Tong Go is a perfect dessert recipe, since it must cool completely before serving. The rice cake will keep for 2-3 days at room temperature. COMMENTS: The rice needs to be soaked for 2 days so it will be easily liquefied. The fermenting process is extremely important, so dont hurry it. The textural appearance in the cross section of the pudding, cake should be one full of holes (air pockets) throughout. This steamed rice cake is so mouth watering everytime the manapua man comes can't resist.now I can make my own.delicious rice cake.